For a Manhattanite, or an ancient Roman, getting oriented in Bolgheri is a cinch. It’s a perfect grid, after all — our cup of tea. To the west is the Tyrrhenian sea, reflecting a wonderful shimmering light late into the magic hour and ventilating the coastal vineyards with a steady sea breeze. To the east are the Apennines, where ancient populations built their stone villages high above the alluvial, mosquito-infested plains. These landmarks are like the Hudson and East rivers, providing two nonnegotiable borders. Where the Hudson River Drive would be, there’s the Via Aurelia, built by Emperor Marcus Aurelius to haul marble from the Carrara quarry down to the Eternal City to sheath it in formal white. Cutting across the grid like 42nd and 57th streets are its two main roads: the famous cypress lane immortalized by poet Giosué Carducci and address of Sassicaia producer Tenuta San Guido; and Via Bolgherese, a wooded road lined with such boldface wineries as Ornellaia, Le Macchiole, Gaja’s Ca’ Marcanda, and Allegrini’s Poggio al Tesoro. Towering above the grid is a forested peak crowned by a crumbling castle: Castiglioncello, where Mario Incisa della Rocchetta chose to plant his first cabernet vines just after WWII, thereby birthing the Super Tuscan phenomenon and a new age in Italian winemaking. Castiglioncello is not only a geographic orientation point, as visible as Manhattan’s dearly missed World Trade Center. It’s also a historic touchstone. Repeatedly during our three packed days in the Bolgheri DOC zone during our XTREME TUSCANY tour this week, we heard winemaker after winemaker respectfully give the belated Mario Incisa his due: Planting cabernet in a sea of sangiovese and trebbiano. Imaging greatness in a viticultural backwater. Looking to Bordeaux for inspiration. The Marquis cut so far against the grain with Sassicaia it’s hard to fathom. Now, 42 years after that wine debuted, Bolgheri is a tiny but powerful site on the wine-world map. One can only imaging the grumbling and grudging admiration in Bordeaux as they watched the meteoric rise of Bolgheri's bordelesewines, made from French grapes grown under the Tuscan sun. Crisscrossing the grid like a PacMan, we alighted in old and new estates in Bolgheri and beyond: venerable pioneers like Ornellaia, Le Macchiole, and Castello del Terriccio; new kids on the block like Poggio al Tesoro and Petra. In between winery visits, we managed to drink wines from Ca’ Marcanda, Gualdo al Tasso, Michele Satta, Russo, and garagiste Enrico Santini. Not bad for our first two-and-a-half days. Along the way, we sampled some newly launched wines. Legendary Sassicaia enologist Giacomo Tachis hasn’t really retired, we discovered, but has been busy collaborating with colleagues in Sardinia. 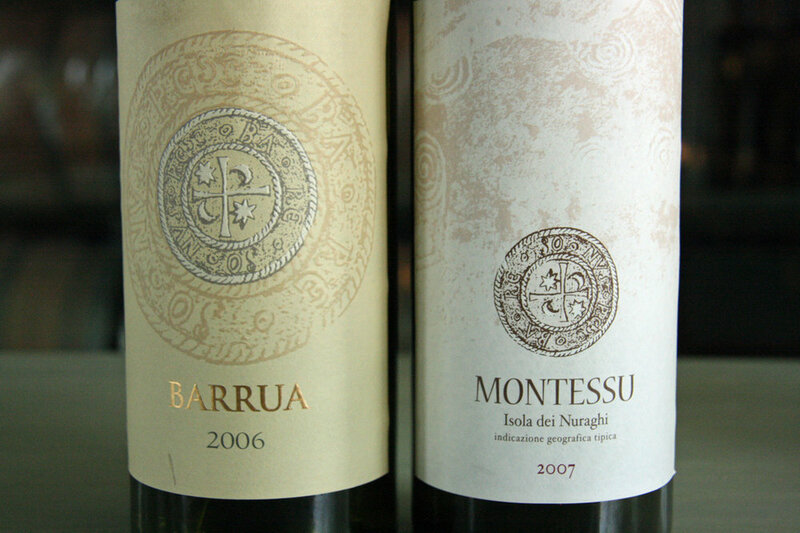 So at Tenuta San Guido, we tasted the fourth vintage of his carignano blends from Isola dei Nuraghi, called Montessu and Barrua — both offering a luscious, sweet dark fruit. Imported by Kobrand, they’re definitely worth seeking out. Meanwhile, Poggio al Tesoro has a new baby called Cassiopea, a rosato that debuted at VinItaly in April. In this land of big reds, it’s nice to have a breezy Mediterranean rosé. This estate makes one of my favorite Tuscan Vermentinos, called SoloSole (uniquely made from a Sardinian clone), so I was eager to try their rosato, a lovely merlot/cab franc blend. They’re well aware of its lineage and spoke about following in the footsteps of Nicolo Antinori at Guado al Tasso, whose rosato Scalabrone was the first commercially viable wine of Bolgheri, even before Sassicaia. Over at Ornellaia, there’s a new curiosity called Variazioni in Rosso (Variations in Red). A different blend every year, the 2007 vintage was 70 percent merlot, partly sourced from the famed Masseto vineyard, combined with the other red grapes grown on the property: cabernet sauvignon, cabernet franc, and petit verdot. “A special wine for people who visit the estate,” we were told. But I’m sure it’s also a way for the winemaker to experiment, play with the blends, and keep himself entertained. And why not? This region was built on experimentation, after all. That, plus great energy, extreme perfectionism, and ideal growing conditions have made Bolgheri a shining star. It’s a place every wine lover should visit at least once in a lifetime.